ULM offers a wide variety of exciting fields of study with new and innovative technologies, ensuring that academic offerings are constantly evolving in order to excel in today's workplace and society. Professors are enthusiasts who love to share their passion for their fields of study as much as their passion for the university. The classroom becomes a place of exploration, discovery, and success. The University of Louisiana Monroe (ULM) is a comprehensive, state-funded institution of higher education that offers high quality educational and experiential opportunities to meet the academic, cultural, vocational, social, and personal needs of undergraduate, graduate, and continuing education students. ULM's mission is to "seek students who find value in our programs and prepare them to compete, succeed, and contribute in an ever-changing global society through a transformative education." Today, ULM has an annual enrollment of over 9,100 students and has awarded a combined total of over 72,000 academic degrees to more than 65,000 alumni. 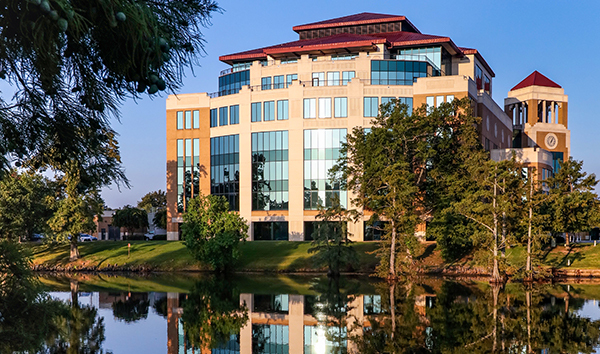 Founded in 1931, ULM's campus — one of the state's most attractive with beautiful Bayou DeSiard flowing through its 238-acre, tree-shaded campus — is located in the eastern part of Monroe. Together with its sister city of West Monroe, the city of Bastrop located in Morehouse Parish, and Union Parish, these communities comprise a metropolitan area of nearly 202,0000 residents and serve as the commercial, medical, and cultural hub for the northeast Louisiana region. The Twin Cities of Monroe and West Monroe straddle the Ouachita River, which many feel is one of the nation's most beautiful rivers.